This year we have the following categories. This award will be given to the independent convenience store, multiple branch, fascia group member or franchise outlet that has most effectively used beers, ciders, wines and/or spirits to improve their business. What proportion of your total sales was made up by BWS? What changes have you made to the beers, ciders, wines and/or spirits section in the past year and why? 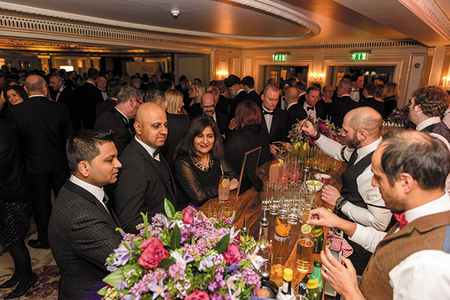 How have the changes paid off in improved footfall, overall sales turnover and profit margin? Keeping BWS in mind, how do you tailor your convenience offering to meet the needs of the local market? Has average spend on BWS increased over this period? By how much? How prominent has BWS been in your promotional activity and advertising? What steps have you taken to improve BWS customer service, such as staff product knowledge and training? This award will go to the independent beer retailer that has done the most to champion beer and made it a core element in the success of their business in the past year. Beer should be a substantial and growing part of your business. What proportion of your total sales was made up by beer? How much have beer sales grown in the last 12 months? Has average spend on beer increased over this period? By how much? Has your range within the beer category changed in the last 12 months? Please give brief information and include brands that have shown significant growth. How does your beer range stand out from other stores? How have you improved your employees and customers’ appreciation and knowledge of beer? This award will go to the independent spirits retailer that has done the most to champion spirits and made it a core element in the success of their business in the past year. Spirits should be a substantial and growing part of your business. What proportion of your total sales was made up by spirits? What changes have you made in spirits in your business in the past 12 months? How much have spirits sales grown in the last 12 months? How have you achieved this? Has average spend on spirits increased over this period? By how much? Has your range within the spirits category increased in the last 12 months? Please give brief information and include brands that have shown significant growth. How does your spirits range stand out from other stores? How have you improved your employees and customers’ appreciation and knowledge of spirits? 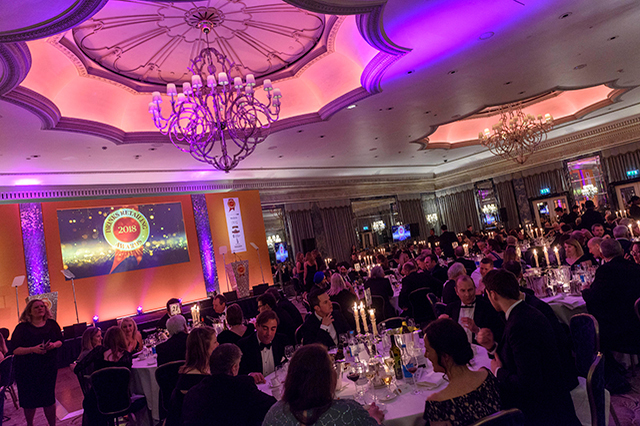 This award will go to the independent wine retailer that has done the most to champion wine and made it a core element in the success of their business in the past year. Wine should be a substantial and growing part of your business. What proportion of your total sales was made up by wine? What changes have you made in wine in your business in the past 12 months? How much have wine sales grown in the last 12 months compared to the previous 12 months? How have you achieved this? Has average spend on wine increased over this period? By how much? Has your range within the wine category increased in the last 12 months? Please give brief information and include brands that have shown significant growth. How does your wine range stand out from other stores? How have you improved your employees and customers’ appreciation and knowledge of wine? This award will go to the independent cider retailer that has done the most to champion cider and made it a core element in the success of their business in the past year. Cider should be a substantial and growing part of your business. What proportion of your total sales was made up by cider sales? How much have cider sales grown in the last 12 months compared to the previous 12 months? How have you achieved this? Has average spend on cider increased over this period? By how much? Has your range within the cider category increased in the last 12 months? Please give brief information and include brands that have shown significant growth. How does your cider range stand out from other stores? How have you improved your employees and customers’ appreciation and knowledge of cider? This award will go to the best all-round independent drinks retailer. To win this award you will have to demonstrate excellence in range in ALL major drinks categories - beers, ciders, wines and spirits – as well as overall commercial success in the past year. 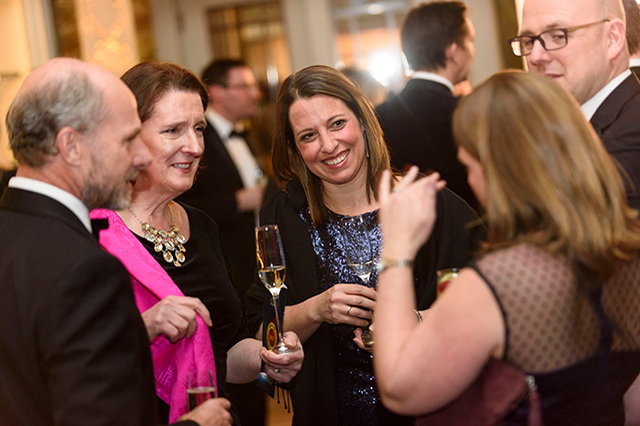 This award will go to the Independent Champagne Retailer that has done the most to champion wine and made it a core element in the success of their business. How do you promote yourself as a specialist in Champagne? What steps have you taken to improve your employees and/or customers’ appreciation and knowledge of Champagne? 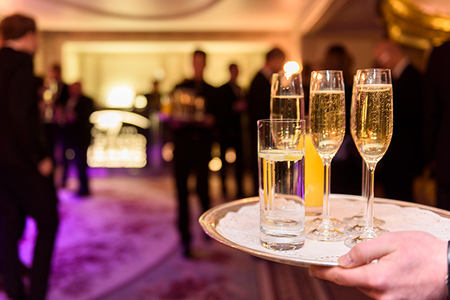 How have turnover and average customer spend in Champagne increased? How did you achieve this? How have you managed to improve margins while running effective promotions? How does your Champagne range stand out from other stores? What innovations have you brought to your Champagne range or marketing? Why do you think you should win this award? This award will be given to the department store or high-end retailer that has done the most to champion wines, spirits and beers of exceptional quality, driving genuine value into the market, cementing the industry’s super-premium credentials and promoting the drinks trade as one capable of standing toe to toe with any industry in terms of luxury. What sets your store apart as a luxury drinks retailer? How do you boost shopper education of quality drinks? How do you use customer service to reinforce your luxury credentials? How are you driving value into the industry? Are there any drinks categories you have put a focus on? How do you promote yourself as a specialist in drinks retailing? Have you used any promotions to effectively boost sales? What innovations and exclusives do you use to excite shoppers? This award is open to chains of 2 – 10 company-owned and managed shops that has demonstrated its own commercial success and contributed to the overall health of the specialist sector. How many shops do you have and where are they? How do you choose the locations for your shops and match ranging to those? How have you matched your retail package to the overall market and to individual store locations? What innovation have you brought to the specialist sector? How have you made your chain stand out in the marketplace? How have you developed your product range to match changes in the market? How have turnover, footfall, average customer spend and return visits increased? How did you achieve this? What has been you’re approach to marketing? What tangible success has this approach achieved? How have you approached keeping good members of staff in the specialist sector? This award will go to the independent or multiple online drinks business that, in the opinion of the judges, has consistently achieved the highest standards in customer service and sales performance in the past year. The judges will be looking for businesses that have achieved significant growth through customer recruitment and retention. Online businesses must supply their full web address. What is your approach to building the range you offer your customers? How have you gone about improving the size of your database? In what creative ways do you use your database to target promotions at customers? How do you recruit new customers? How do you ensure you hang on to existing ones? What steps have you taken to encourage repeat purchases, bigger basket spends and increased profitability? How quickly and accurately do you fulfil orders? What makes your online business different from your competitors?